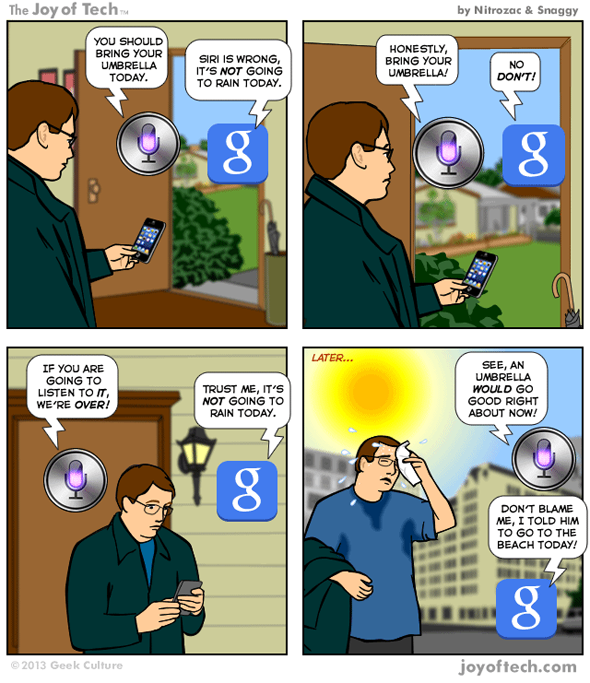 Folks over at The Joy of Tech is known for creating all kinds of humorous comic strips based on the current tech topics that are on everyone’s mind. We’re big fans of the series, and everyone loves a good comic strip, right? 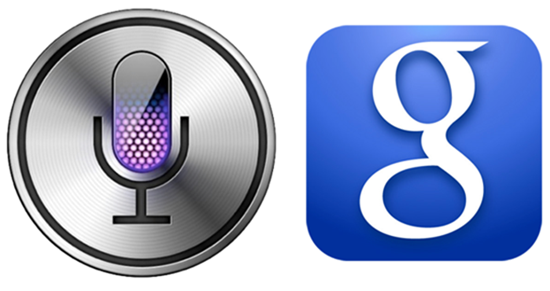 The story starts out with Siri telling an iPhone owner to take an umbrella when he leaves the house. Google Now disagrees, and vehemently denies the need for one, saying repeatedly that it will not rain. The man leaves the house sans umbrella, preferring to follow Google Now’s advise rather than listen to Siri. The result is the unfortunate user baking in the heat thanks to the sun, with Siri taking the opportunity to gloat. Just as you would, really!